The Very Large Telescope (VLT) at Paranal Observatory in northern Chile is the world's biggest optical telescope. Run by the European Southern Observatory (ESO), it became fully operational in 2000 and is packed with cutting-edge instruments. The BBC Technology reporter Katia Moskvitch went to Paranal to see how the VLT actually works. 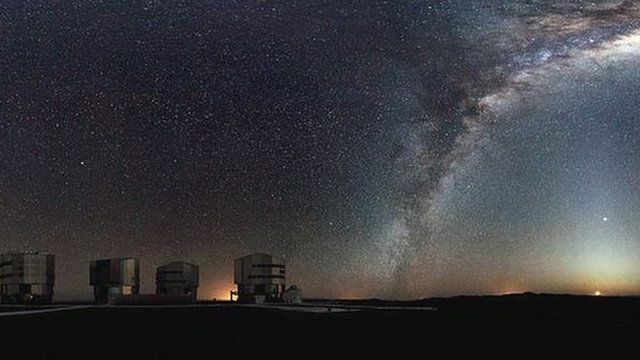 The time-lapse images of stars and the Laser Guide Star are provided by ESO, as well as the first image of the Milky Way over Paranal.